Early Colour British Indian Postcard. 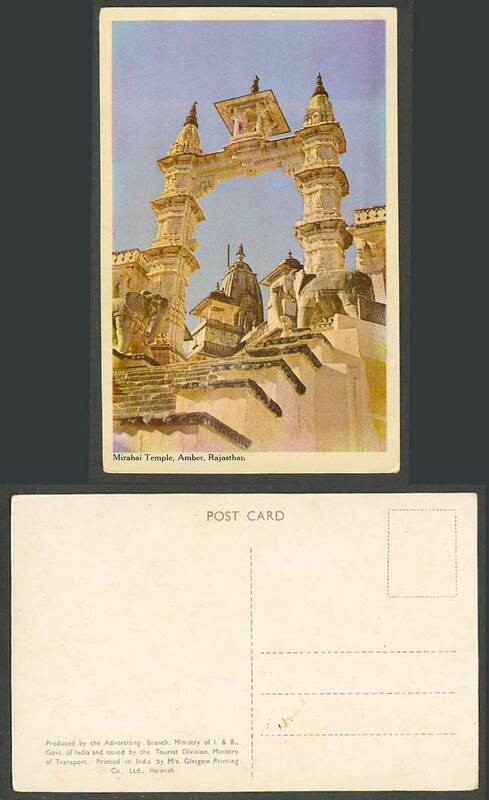 India, Mirabai Temple, Amber, Rajasthan. Elephants Elephant Statue. Gate, Steps.